Using a smart irrigation system, like Rachio, helps your grass stay greener through the dryer months without costing you an arm and a leg. Smart irrigation systems connect to Wi-Fi to keep track of how wet the soil is and waters it on the smartest, money-saving schedule possible. They cost anywhere from $150–$250. When smart thermostats, like Nest, first hit the market several years ago, they were initially seen as a luxury. Now that smart thermostats have been a proven way to save money and reduce energy usage, they are a must-have for every home. 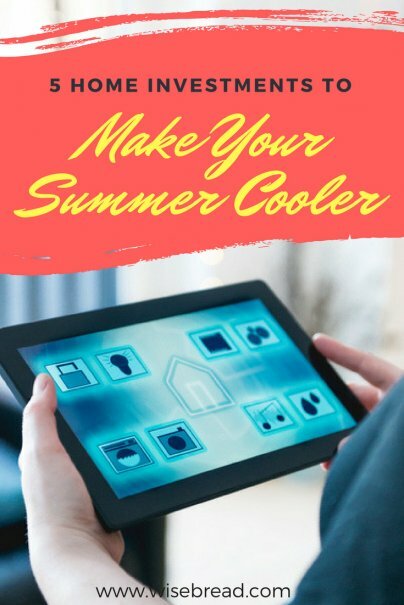 Smart thermostats cost anywhere from $100–$225, they learn your cooling and heating preferences when you're home, and many connect through Wi-Fi so you can manage them when you're away. I'm a fan of the Instant Pot because it easily allows anyone to cook delicious meals in less time than with other cooking methods. And you can cook almost anything without heating up your entire kitchen. Many popular dishes can take 45-60 minutes in the oven, which can heat up the house and cause your AC unit to kick into overdrive. If you're a homeowner, there's a good chance you've been solicited by a solar energy company in the past few years with claims that you can drastically cut your electricity bill with no money down. While solar panels can save you money on your monthly energy bill and add value to your home, it's more beneficial to own the solar panels outright rather than to lease them from a solar installation company. Purchasing the solar panels also entitles you to redeeming the tax credits and clears you to sell them without any issue when you sell your home.